1.1 Why do I need a Sitemap? 1.1.1 How to Generate a Sitemap for your Website? 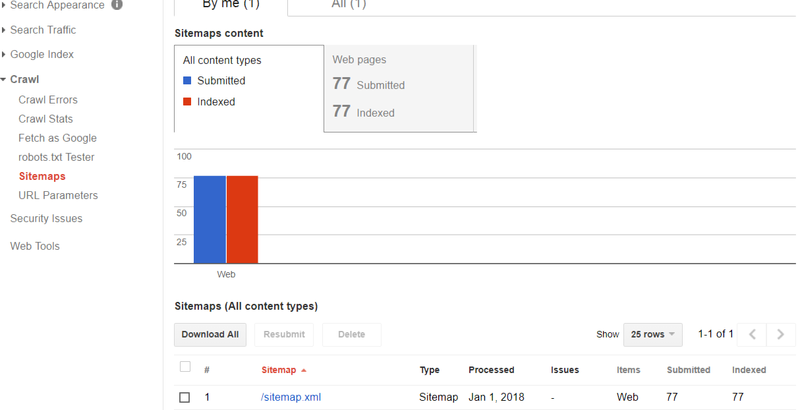 After verifying your new blog or website on Google Webmaster tools, your next goal is to submit a sitemap XML file to your Search Console account to easily let Google crawl all of your blog posts. By doing this, it will help Google search engine to know that you are a new blogger and you want to get indexed and crawled to appear in their search results to get more organic traffic to your blog posts. You can also prevent Google from indexing your specific URL’s using the robot.txt file. Today, in this tutorial I will show you how to add a sitemap file to Search Console step-by-step. But, before I begin this tutorial, there are a couple of things you should know! So, let’s get started. A sitemap is an XML extension file, that contains all the URLs of a blog or website (including pages, posts). According to Wikipedia, it allows webmasters to include additional information about each URLs, such as, when it was last updated. how often it changes, how significant it is in relation to other URLs on the site.Thus, it allows Search Engines to crawl your site more sharply. Why do I need a Sitemap? 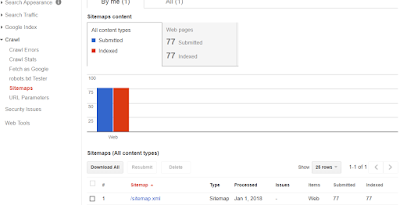 Sitemap XML files are very important for SEO because they make it easier for search engines like Google to analyze your site pages. The purpose of a sitemap is to make sure that the search engine spiders (also known as bots) get to crawl all the things they need to index and crawl from your website. Sitemaps are a rare, part of SEO, having a sitemap poses no risks to website owners and provides only benefits in return. According to CrazyEgg, Google claims that sitemaps are helpful for below criteria. Sites with rich media contents. Websites with messed up internal links, that’s not linked to well. It’s clear from the above that the majority of websites should have a sitemap. How to Generate a Sitemap for your Website? Sitemaps can be generated in different ways depending on your blogging platform. For example, let’s say you want to generate 2 sitemaps for your two different websites, the first one is on WordPress platform and the other one is on Blogger platform. Now, WordPress sitemaps can be easily created using popular SEO plugins like Yoast SEO, All in One SEO Pack, and Google Sitemap plugins. Whereas blogger sitemaps are created in different ways, it can be online or offline. As you can see below, I have used the same method as I described above. Now if we talk about online sitemap creator, nowadays there are many websites that offer free sitemap file generator tool, such as, www.xml-sitemaps.com, xmlsitemapgenerator.org, and www.screamingfrog.co.uk to instantly create a sitemap XML and HTML file for your site. 2. 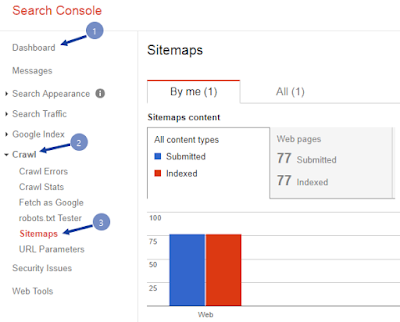 In your search console dashboard, click ‘crawl’ and then ‘sitemaps’. 3.Now click on ‘ADD/TEST SITEMAP’ button. 4. 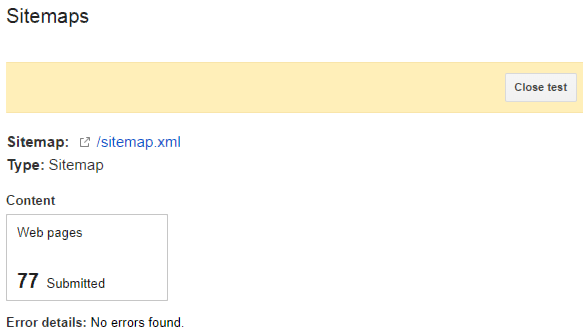 Add ‘sitemap.xml’ and click on the ‘test button’ and check the result to make sure there is no error. 5. Now, close the result and again insert ‘sitemap.xml’ and click ‘submit’. Congratulations! 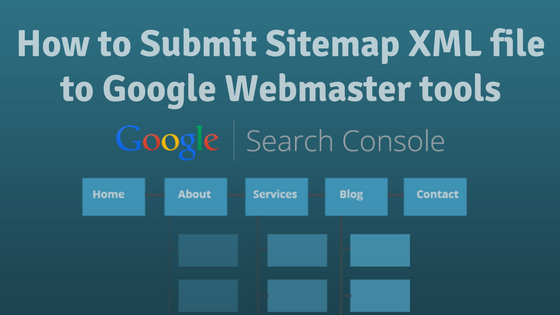 you’ve successfully added sitemap file to your webmaster tools. After submitting the sitemap to search console account, you are not done yet. Next time, whenever you publish a new post on your blog, don’t forget to resubmit the sitemap to let Google index and crawl your post faster. Have you been using sitemaps on your site? Let me know in the comment box below and if you find this post useful, share it with your friends and family members.